Turtle necks! For some odd reason every time I see a Land Rover Range Rover I see someone with a turtle neck shirt or sweater driving it. Maybe it is a status symbol for the preppy people. Don’t tell my uncle I said this because he happens to drive one. The newest Range Rover Sport offers a 5.0L direct-injection V8 which in supercharged form puts out 510hp which is good for pushing this mammoth from 0 to 60mph in 5.9 seconds. The Sport version is all about sport with a slightly tweaked exterior but remains to have the classic look of distinguished people who wear turtle necks. 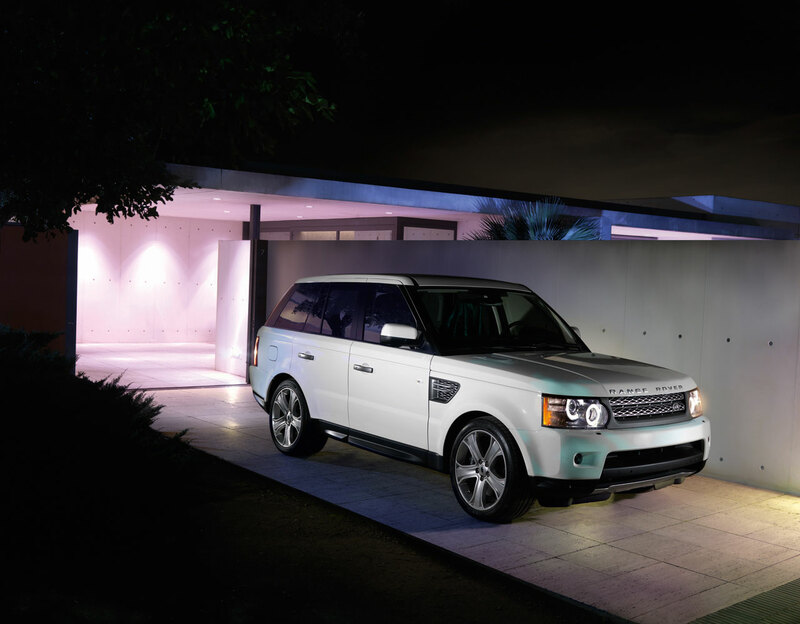 Below is the press release including high-resolution images and additional specs on the new 2010 Land Rover Range Rover Sport appearing at the 2009 New York International Auto Show. 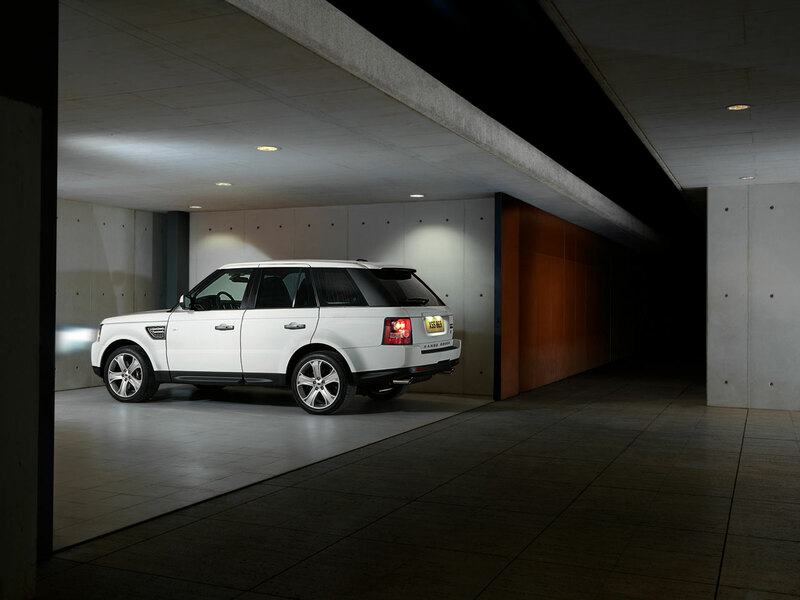 Unrivalled capability and dynamics from the 2010 Range Rover Sport. All-new efficient and powerful LR-V8 engines. LR-V8 5.0 liter Supercharged . 510 bhp and 461 lb/ft torque. 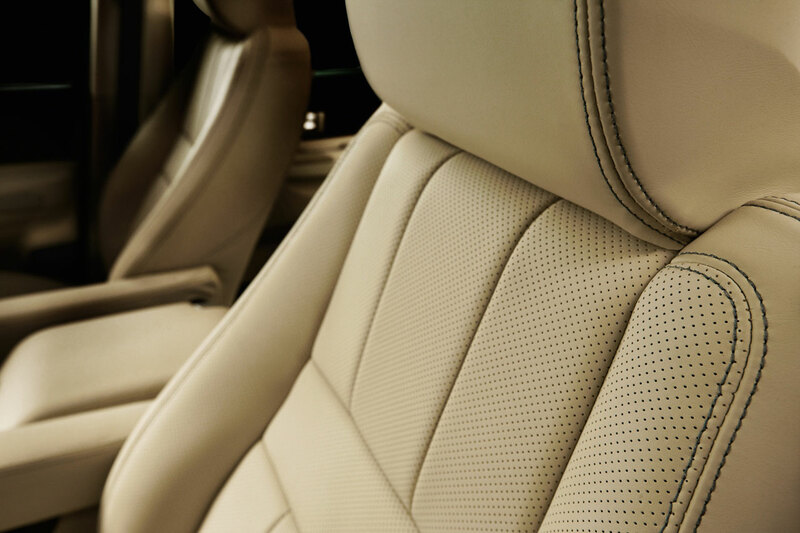 Redesigned interior bringing new levels of refinement and craftsmanship. Steering wheel with paddle-shift gear change on Supercharged model. Chassis refinements including active damping, new brakes and updates to the Terrain ResponseTM system, bringing even greater breadth of capability. Cutting edge technologies including available surround camera system with tow assist, and a high beam assist option. “The Range Rover Sport’s performance, ride and handling have been transformed with the introduction of new engines, transmission and chassis systems. 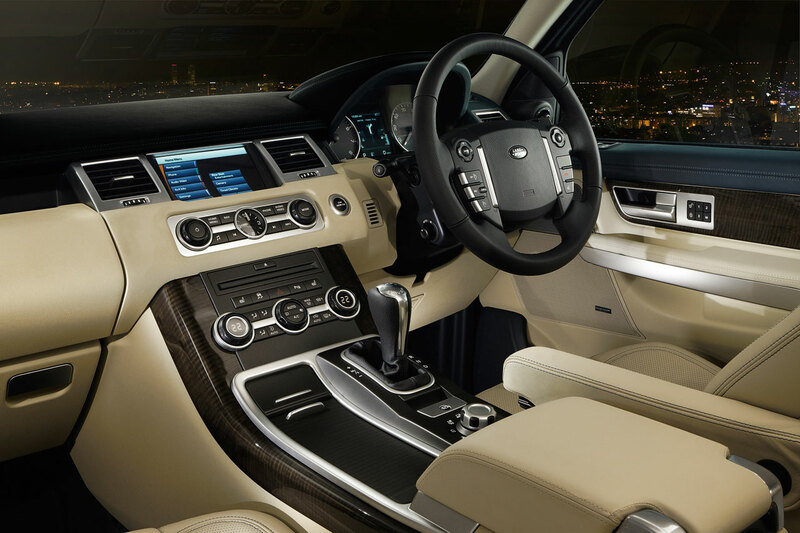 Combine these enhancements with the contemporary style and luxury of the revised interior, and it’s clear that the Range Rover Sport remains the only choice as the quintessential SUV sports tourer,” says Phil Popham, Land Rover Managing Director. 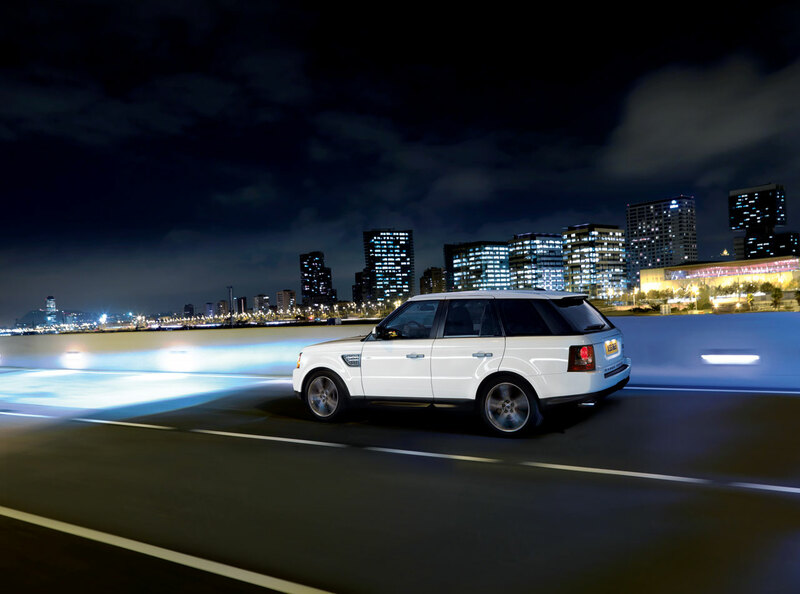 The Range Rover Sport reaffirms its status as the most exciting and dynamic member of the Land Rover range with a comprehensive package of engineering and design changes for the 2010 model year. The vehicle’s stylish new appearance signals the transformation under the skin, which includes two powerful and efficient new engines – the LR-V8 naturally aspirated and LR-V8 5.0-liter Supercharged, enhanced levels of interior craftsmanship and refinement, and significant improvements to both on-road and off-road driving dynamics. A comprehensive program of chassis system modifications has transformed the Range Rover Sport’s on-road dynamics, while also delivering a substantial improvement in its off-road capabilities. 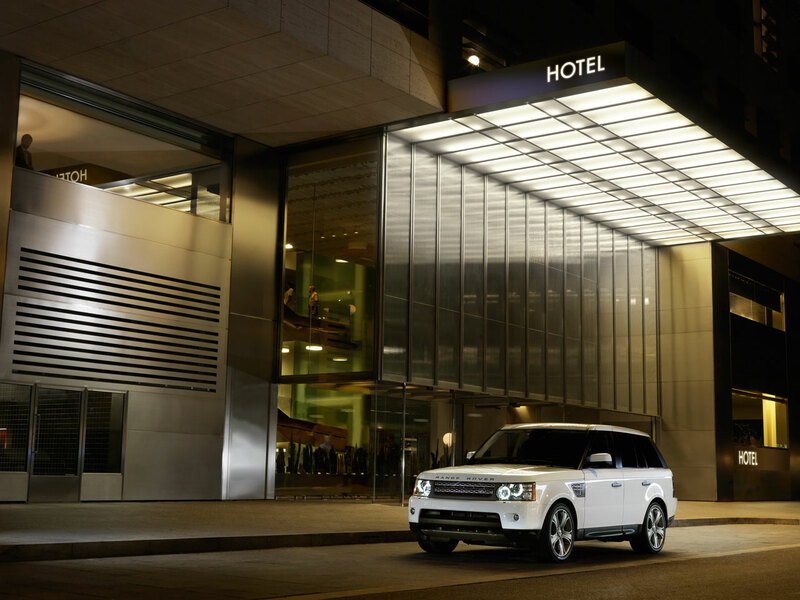 The Range Rover Sport’s stylish, muscular exterior has been updated to provide a cleaner, more sculpted feel. Striking signature LED headlamps combine with a new two-bar grille, front bumpers and fenders to create a more sporting and aerodynamic stance. At the rear, new light clusters and a revised bumper design mirror the smoother front-end. “The Range Rover Sport has generated a passionate following among customers who require the performance and refinement of a true sports tourer, but who value the formidable off-road ability of a Land Rover. Now that we have widened its range of capabilities even further, the following for the Range Rover Sport looks set to grow stronger still,” says Phil Popham. “Both the new LR-V8 engines are suited to the sporting character of the Range Rover Sport, providing generous low-end torque and spirited performance along with levels of refinement worthy of the Range Rover name.” says Phil Hodgkinson, Product Development Director. 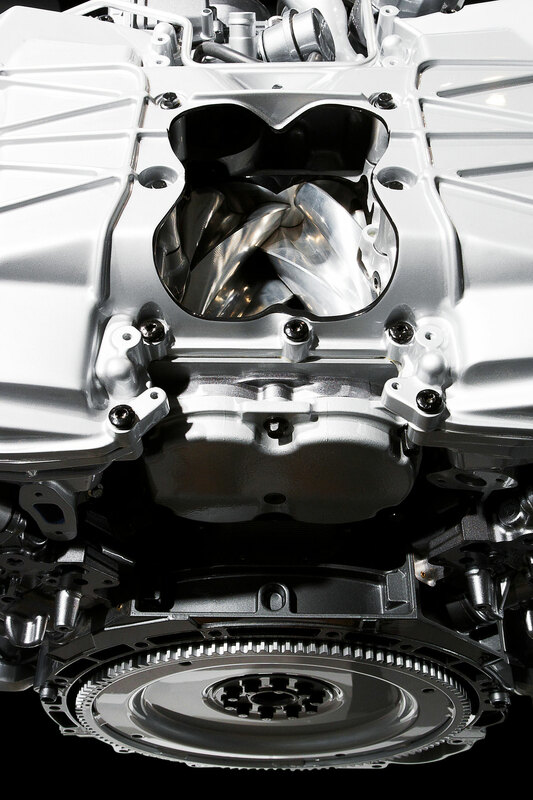 The engines were developed in conjunction with Jaguar – the first time engines have been designed from the outset with the requirements of both brands in mind. Shared primary objectives included the highest possible torque and fast response from low revs. All-new 5.0-liter V8 design with 510bhp SAE supercharged and 375bhp SAE naturally aspirated versions. 510bhp engine has 29 percent* more power and 12 percent* more torque than previous 4.2-liter supercharged engine. 375bhp engine has 25 percent* more power and 19 percent* more torque than previous 4.4-liter engine. Conforms to stringent ULEV2 emissions regulations. High efficiency, 6th generation EatonTM twin-vortex supercharger. 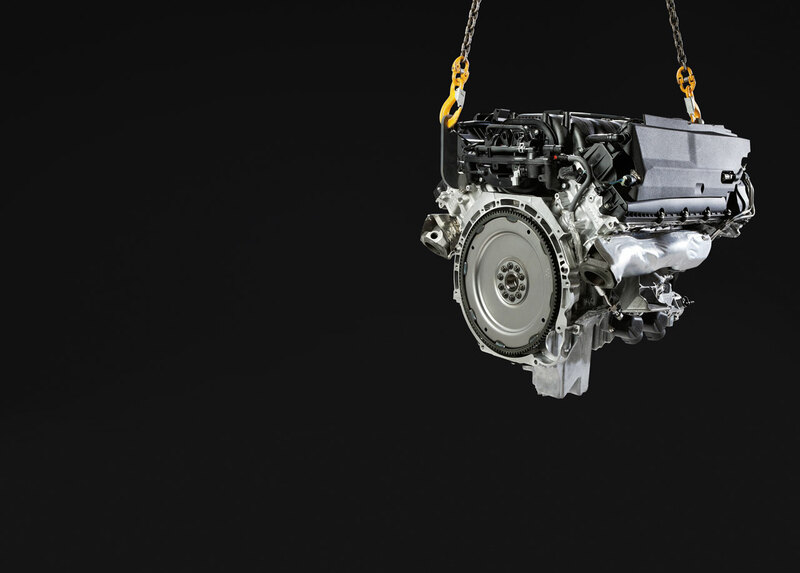 Torque-actuated variable camshaft timing on all four cams in V8 engine – industry first. Camshaft profile switching and variable length inlet manifold optimizes power and torque. Reverse cooling improves engine efficiency and speeds cabin warm-up. Lightweight construction uses recycled materials. 15,000 mile (24,000 km) service intervals. VCT units work independently on all four camshafts with 62 degrees of authority on the inlet cams and 50 degrees of authority on the exhaust cams. Timing is optimized by the engine control unit for torque, power and economy at every point in the engine’s speed range. The response rate of the new VCT units is 25 percent higher than before with actuation rates in excess of 150 degrees per second. This delivers a more immediate engine response to the driver’s demand. A sixth generation, EatonTM twin vortex system (TVS) supercharger is fitted to the 510 bhp engine. A compact Roots-type unit it feeds air through twin intercoolers which in turn are water-cooled by their own cooling circuit. The high helix rotor design both improves the supercharger thermodynamic efficiency by 16 percent. It also improves noise quality to the point where the unit is now almost inaudible. The intercoolers reduce the temperature of the pressurised intake-air and so optimize power. In addition, the 22 kW oil to water heat exchanger, packaged at the core of the engine, transfers heat from the coolant to the lubricating oil during warm up, bringing the oil up to operating temperature 14 percent faster than the previous cooling system. This ‘reverse flow’ approach substantially improves fuel consumption in the crucial engine warm-up period and helps warm the cabin more quickly. Internal friction, a major contributor to increased fuel consumption and CO2 emissions, has been targeted by careful design of the engines’ components. 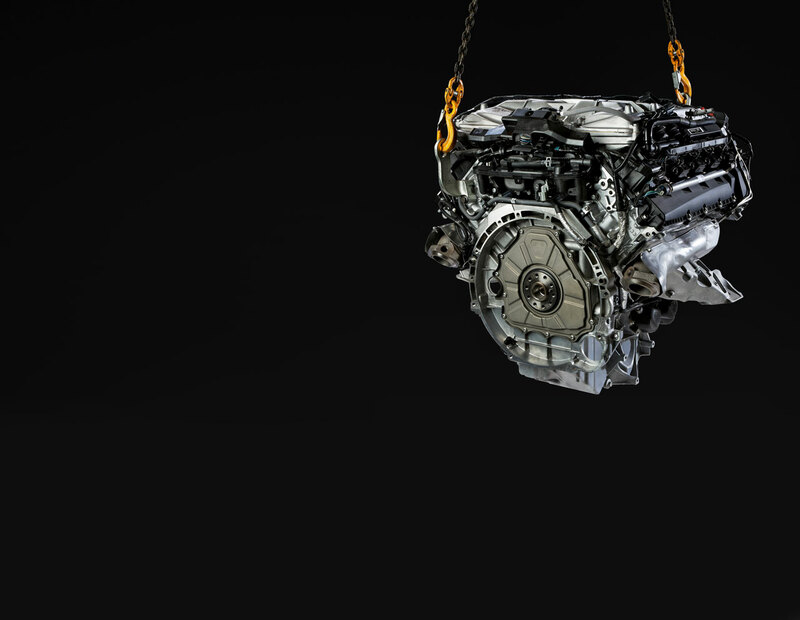 As a result, the Range Rover Sport’s new LR-V8 achieves another best in class, for crank train friction. 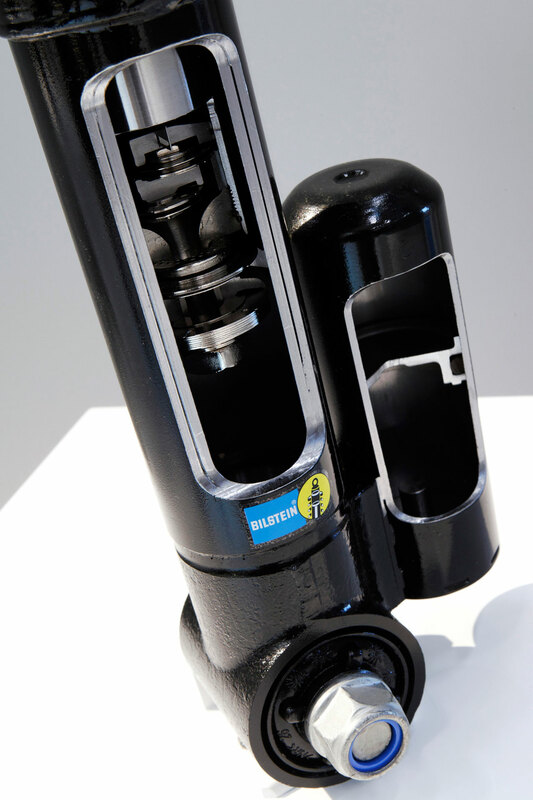 Land Rover has developed a unique, intelligent oil-pump pressure relief valve (PRV) which senses oil pressure deep in the engine’s oil galleries to more accurately control oil pump delivery. As a result, oil pump frictional losses are reduced during the warm-up period. 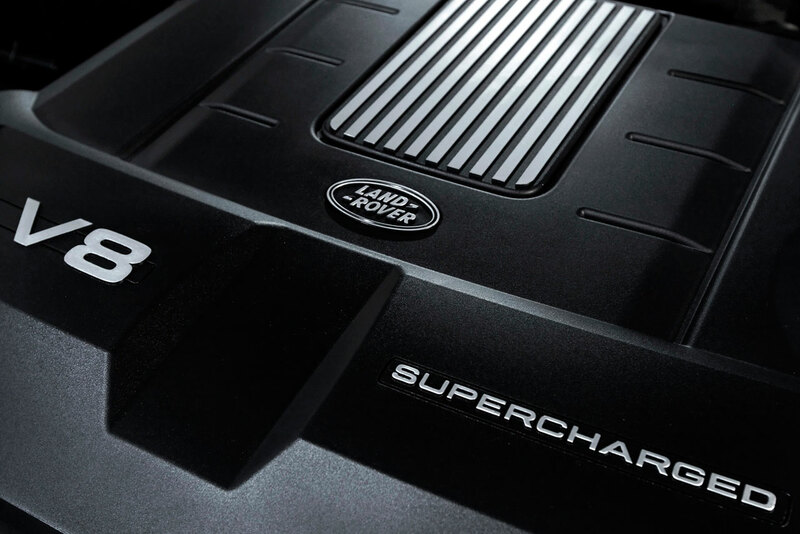 Both LR-V8 engines on the Range Rover Sport are mated to the revised and super-smooth ZF HP28 6-speed automatic transmission. 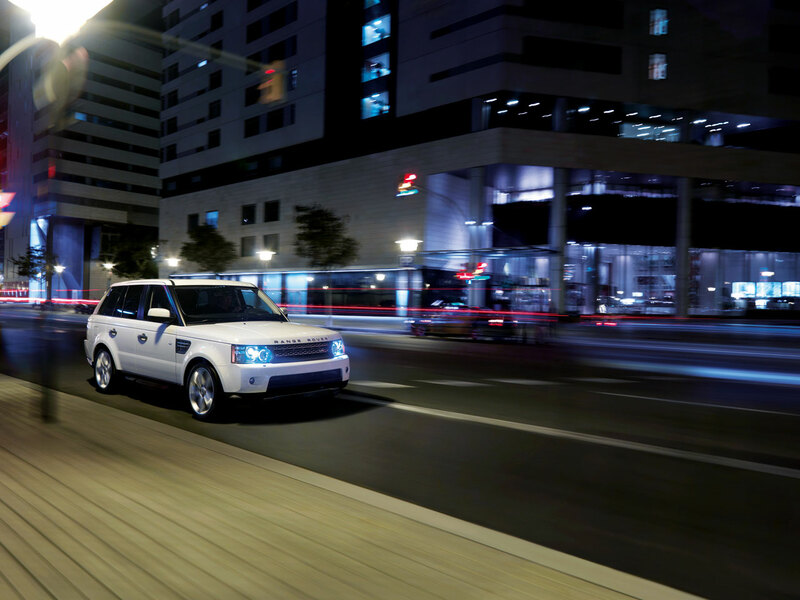 Its characteristics have been optimized by Land Rover engineers to provide class-leading response, with rapid and refined shifts. The dramatic enhancement of both power and torque low down the rev range on the new engines have made it possible to actuate the transmission’s lock-up clutch much earlier in each gear, reducing slip through the hydraulic torque converter, so helping with improvement in both fuel consumption and CO2 emissions. 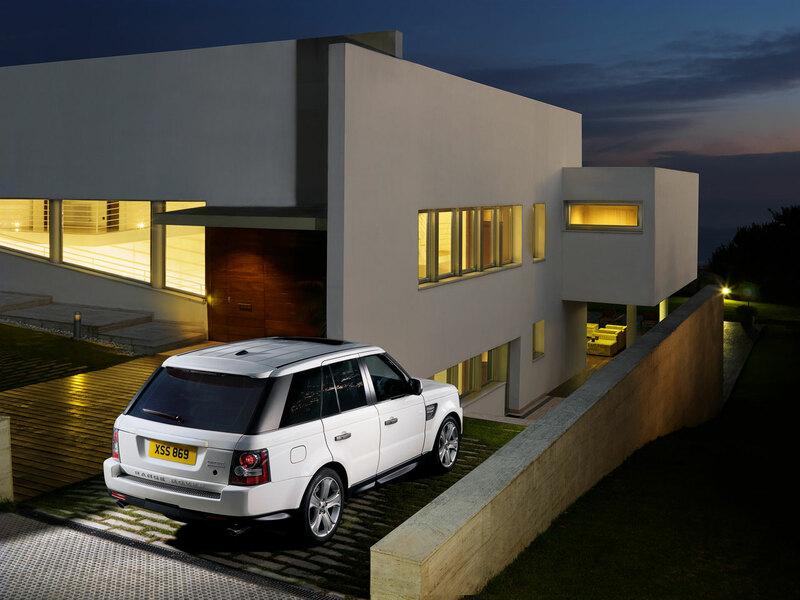 The 2010 Range Rover Sport features a new Adaptive Dynamics System, which works in conjunction with the existing Dynamic Response system to enhance control of the vehicle’s ride and handling. 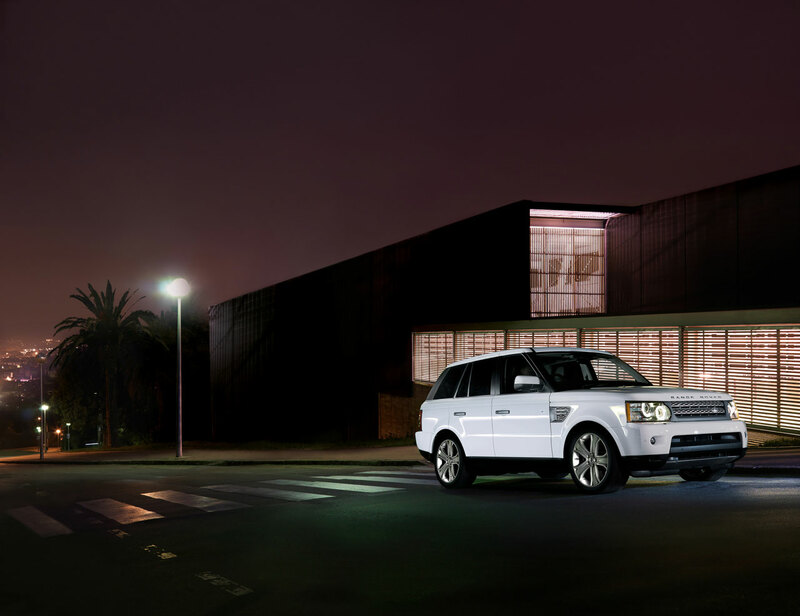 Land Rover has employed the world’s first production system for this computer model-based predictive technology, which continually optimizes damper settings for the widest possible range of conditions. Conventional dampers are replaced by precision DampTronic Valve TechnologyTM damper units, which incorporate continually adjustable damper-valves. The predictive technology enables damper settings on each wheel to be continuously refined between ‘soft’, comfort oriented settings and ‘hard’, firm body control settings; damper pressure on each wheel is monitored 500 times per second. 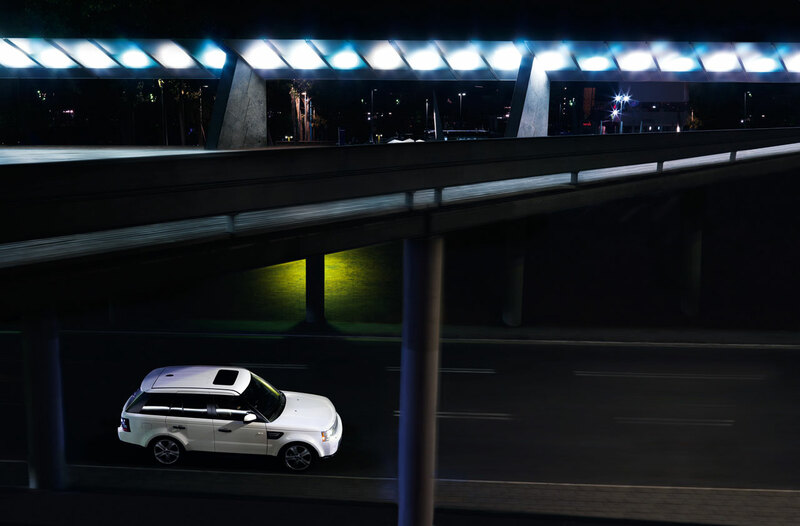 The system optimizes the vehicle’s body and ride control, instantly responding to both the demands of the prevailing driving style and of the terrain encountered, in both on and off-road situations. The braking system for the Supercharged model has been developed in conjunction with performance brake specialists BremboTM. This system employs 15-inch (380mm) ventilated front discs with unique lightweight aluminum six-piston opposed action monoblock calipers. 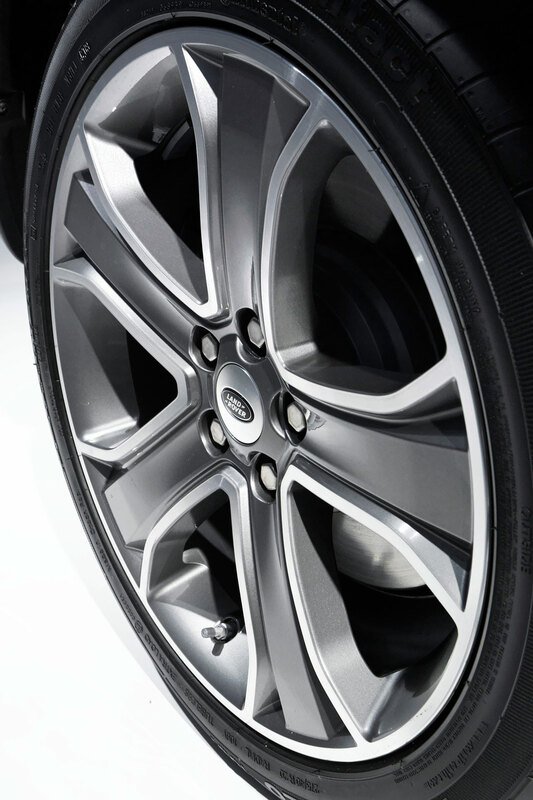 14.3-inch (365mm) ventilated discs with single piston sliding calipers are fitted at the rear. Models fitted with the Adaptive Cruise Control option also benefit from a new Advanced Emergency Brake Assist system, which is designed to detect the driver’s responses to a potential emergency situation. Working in conjunction with the Forward Alert System’s radar, Advanced Emergency Brake Assist primes the vehicle’s braking system, and even initiates braking in extreme circumstances if a collision is judged possible. 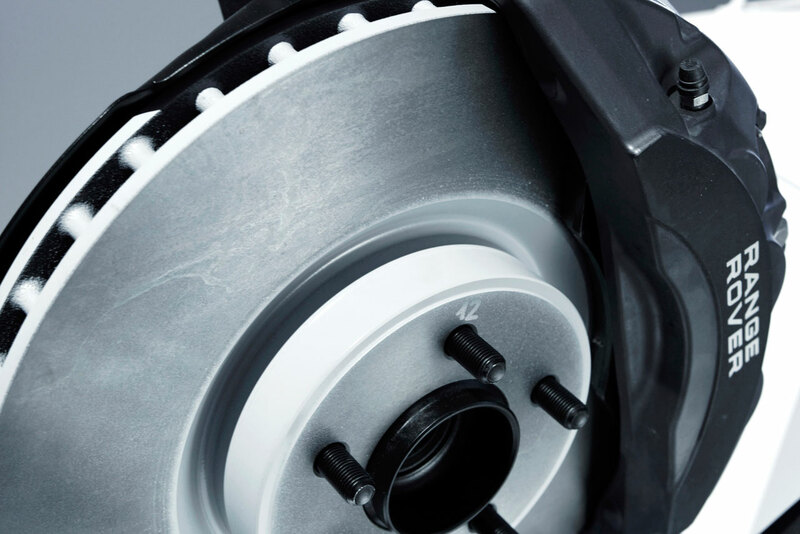 Valuable improvements in braking distances have been recorded in the testing of this system. For the 2010 Range Rover Sport, Land Rover’s award-winning Terrain ResponseTM system gains new features and refinements, further extending the vehicle’s all-terrain capability. Most significantly, the Terrain ResponseTM system now includes a new ‘Dynamic’ program, designed for sporting on-road driving. When the driver selects the new Dynamic program, the Terrain ResponseTM system tailors the vehicles chassis and powertrain settings to deliver a more sporting and responsive driving experience. Tighter body control and quicker steering responses are achieved by adjustments to the Adaptive Dynamics system, while the accelerator pedal mapping, dynamic stability control system and gear-change settings are also given more sporting characteristics. For soft sand – one of the most power-hungry surfaces – ‘sand launch control’ has now been introduced, which makes for noticeably easier drive-away. New, speed-dependent wheel-slip targets for the traction control system permit only very limited initial wheel-slip, helping to prevent the wheels digging down into the sand. New for Range Rover Sport, revisions to the rock crawl program improve brake and traction control response times, helping to reduce the vehicle’s wheels rolling in an unintended direction when traversing boulders, and giving a more composed drive through rocky terrain. 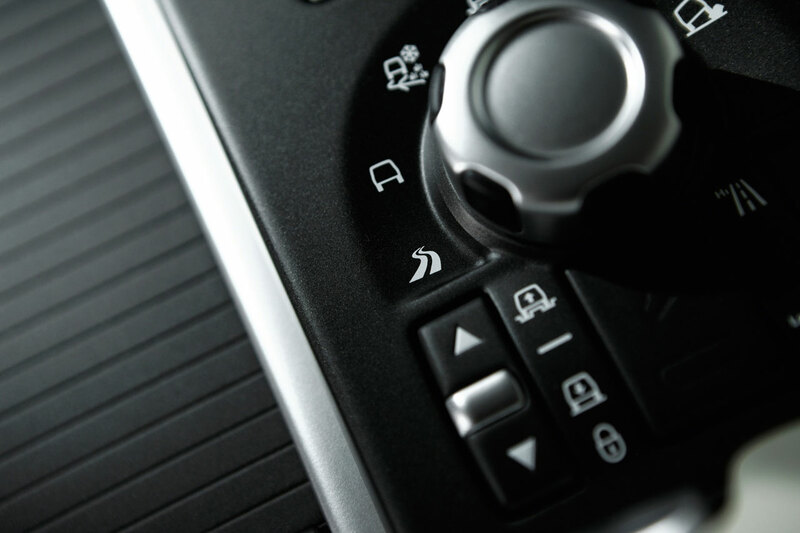 Land Rover’s much-acclaimed Hill Descent Control system is enhanced on the latest Range Rover Sport with the addition of Gradient Release Control. This inhibits the initial rate of acceleration when descending very steep inclines, to increase control when braking is released at extreme angles. 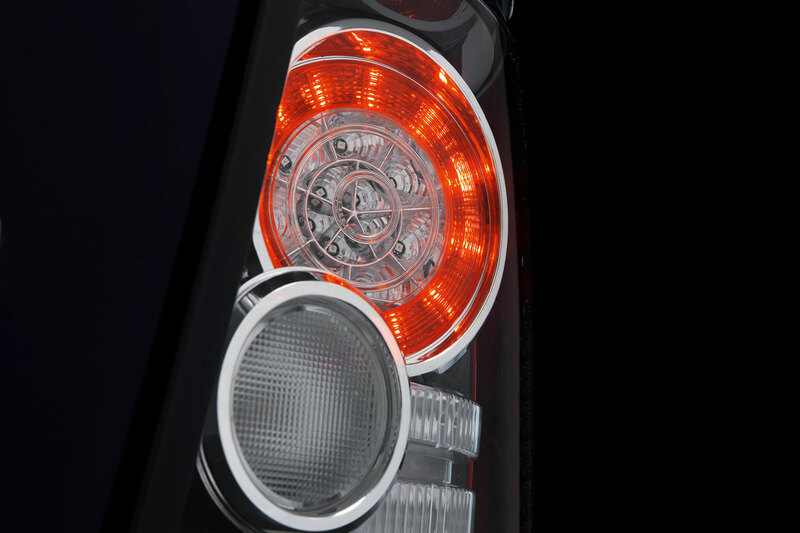 At the front, new signature LED headlamps provide a technical focal point, and feature Range Rover inspired interlocking circle lamps. With a new two-bar grille and larger air intake, the vehicle’s frontal graphic is much more slim, athletic and low-slung. The cabin retains its popular cockpit feel but incorporates higher quality materials, sumptuous soft-touch finishes and superb detailing throughout the interior. Leather is used extensively on major surfaces, in a wider choice of colors. To create a more sporting feel, rich dark shades ‘sandwich’ narrow sections in lighter tones, and the effect is completed by a generous selection of stylish wood finishes. The navigation system adopts an easy-to-use navigation structure which now also features ‘towards guidance.’ This supplements the junction map and icon-based information with details of the actual road signage viewed by the driver along the route. The new Portable Audio Interface allows connectivity to an array of personal audio storage devices, USB sticks and MP3 players, enabling the various devices’ functions to be accessed and controlled via the facia-mounted touch-screen system. One of the connectivity ports is a dedicated iPodTM point made exclusively by Land Rover, for continued functionality in extreme driving conditions, by helping to prevent the device coming loose from the socket. The patented reverse ‘tow assist’ and tow hitch assist functions (selected from the touch screen menu) help perform accurate towing maneuvers. The wide fields of vision on the side cameras give a clear view of the reversing trailer and the images are electronically manipulated to provide an undistorted view. Guide lines overlaid on the rear camera image illustrate both the vehicle and trailer’s trajectory and these move in line with steering inputs, making it easier for the driver to predict where the trailer will move to, before performing the reversing maneuver. 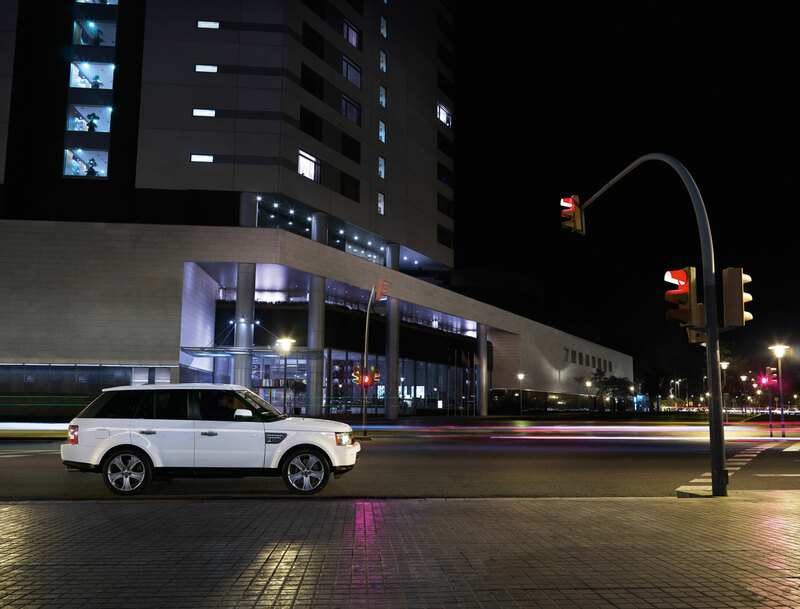 The Range Rover Sport’s new LED front headlights incorporate available High Beam Assist technology. 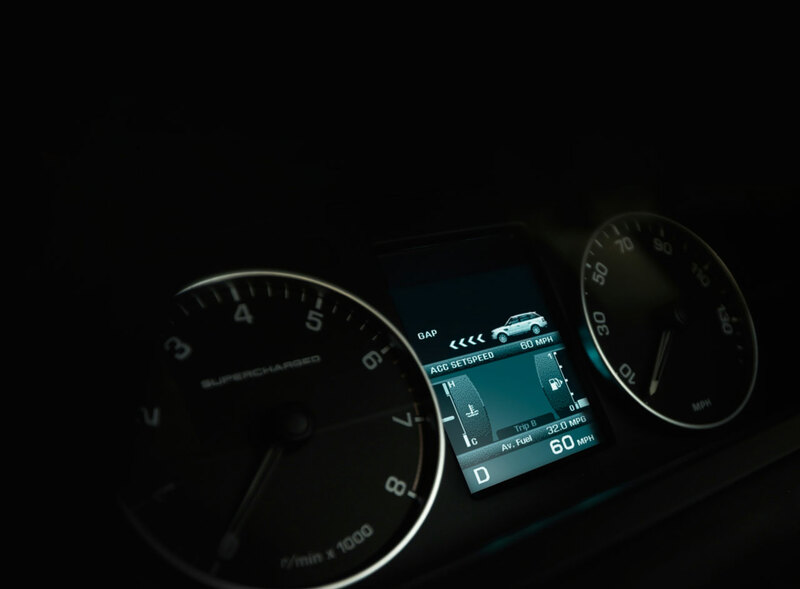 This can automatically switch on high beam headlights where external light levels are below the system’s threshold. 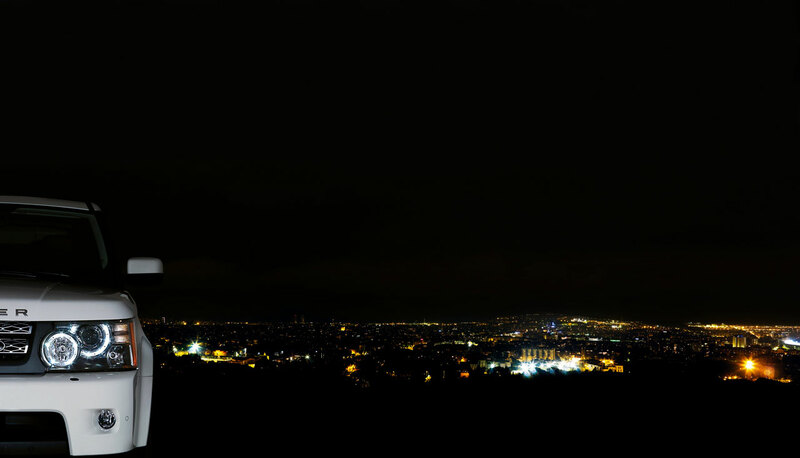 Importantly, the system is also designed to detect preceding and approaching traffic, and in a split second will automatically switch back to low beam to avoid dazzling others.